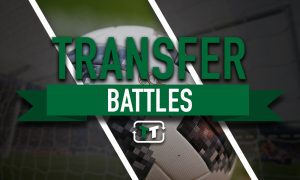 Pulis tight-lipped on striker's future | The Transfer Tavern | Where football transfer rumours fly or die! The future of Kenwyne Jones is up for debate in the Football Transfer Tavern, with Phil Medlicott of the Daily Mail informing us that Stoke City manager Tony Pulis is remaining tight-lipped over the striker’s future. Swansea City have reportedly made a £3 million bid for the former Sunderland and Southampton man – a bid that was promptly rejected by the Potters. 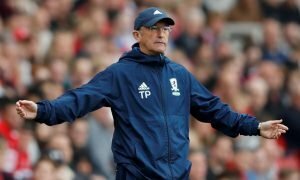 When asked about Jones, Pulis said: “If there is going to be anything done with another football club, we will do our business with the football club. Jones made the move to the Britannia Stadium in 2010 for a then club record £8 million. The Trinidad & Tobago international has been the first choice striker for the Potters since replacing the injured Peter Crouch in December, and has scored four goals during that spell. Pulis also confirmed that United States international midfielder Maurice Edu will spend the rest of the season on loan at Turkish club Bursaspor. Bursaspor had been looking for a midfield replacement to cover for the loss of French Under-21 international Alfred N’Diaye who joined Sunderland last week. “He has come in and not got any games”, Pulis said of the former Rangers man, Edu. Potters fans. Do you want to keep Jones at the Britannia? Vote in our polls below.